To become an engineer I studied engineering physics, which had a large physics and cosmology component. I am also a student of the origin of the universe and life on earth both from the scientific and biblical perspectives. Why look at both sources of knowledge? Doesn't science have all the answers? I initially came to think that science books answered everything. Yet, by my fourth year at university, some fundamental questions concerning our origins began to re-appear. In discussion with my nephews (14 to 20 years of age) I realized they were asking the same questions I had asked at their age and like me, not getting satisfactory answers. Concurrently I saw an approach to the problem developed 800 years ago, that looked like it had promise – which pointed me to a reconciliation of science and religion answers on our origins. This was exciting and fresh and I was encouraged to write a book, The Genesis One Code, sharing what I had found. As described by a reviewer Those who struggle to balance faith and science regarding earth's origins will want to read The Genesis One Code, which explores intriguing possibilities that reconcile these two divergent perspectives. The author has conducted significant research into the pertinent religious texts and scientific theories to determine that a relationship between the two is not only possible, but likely. I hope we will come closer to ending the 200-year “origins debate” and enter into more cooperation between scientists, theologians to lead to a better and better understanding of our origins. Best of all as a family you can spend quality time having a discussion about science, religion and the meaning and purpose of life. Were the heavens and the Earth created 6,000 years ago, as the Bible suggests? Or did the universe expand into existence nearly fourteen billion years ago from a spontaneous "big bang"? Both dates cannot be right…or can they? Imagine medieval manuscripts, written some 800 years ago, that could help us decipher Genesis and thereby pinpoint exactly when the universe began – an instant squaring, moreover, with our most up-to-date cosmological theories. The Genesis One Code carefully examines the relationship between scientific theory and biblical teachings. The book approaches the origins debate from a fresh perspective informed by both scientific and spiritual research. Daniel Friedmann lays out the connection between God's creation and modern-day science in his book The Genesis One Code. 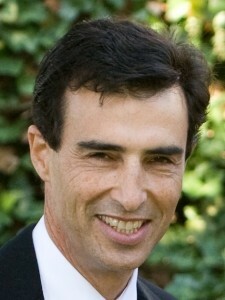 Daniel Friedmann is CEO of MDA Corp., specializing in robotics. He has a master's in engineering physics and 30 years' experience in the space industry. He has published more than 20 peer-reviewed scientific papers on space industry topics. He is also a long time student of cosmology and religion. The Genesis One Code is currently available on Amazon.com. Looks like a create book for families who love science. Genesis a code at the relationship between the scientific theory and the bible doctrine. The origin of this book debate method from a new perspective notice from science and spiritual research. Daniel friedman will god's creation and the relationship between modern science in his book "the creation a code.